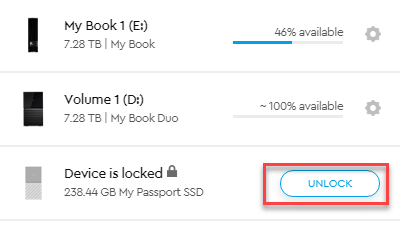 WD Unlocker and WD Security displays Unknown Security State: ff error when trying to unlock a My Book or a My Passport. The cause for this error is under investigation. Download the WD Discovery for Mac software and use WD Discovery to unlock the drive.